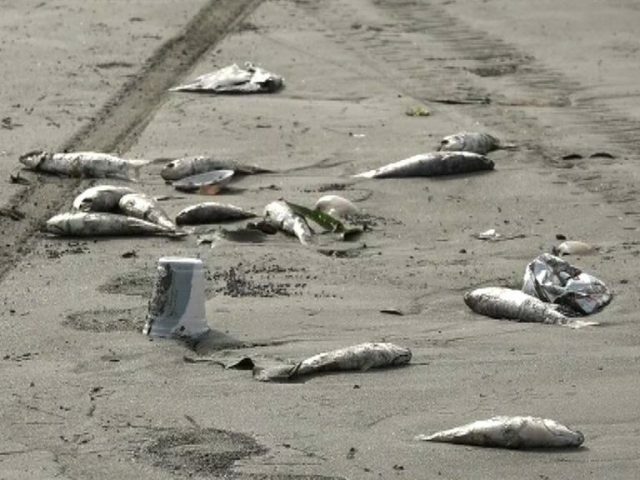 Hundreds of dead fish have washed up on the shore of Seaview Beach and the stench is driving people away. Beachgoers said they were unable to bear the smell. One young girl said she was scared of stepping on the fish that were littering the shore. According to WWF-Pakistan’s technical adviser on marine fisheries, Moazzam Khan, the reason for this strange occurrence is that fishermen throw small fish back in the water and those dead fish often wash up on the shore. It’s not because of some pollution-related issue, because if it was you would see other types of marine life, he told SAMAA TV.